A U.S.-sponsored Middle East conference aimed at building a coalition against what Washington sees as the threat posed by Iran also produced signs of a warming of ties between Israel and some Arab countries on Wednesday. Foreign ministers and other officials from more than 60 countries were gathering for the conference in Warsaw, which was starting on Wednesday evening and whose agenda included Iran, conflicts in Syria, Yemen and Israeli-Palestinian peace. On the sidelines, Israeli Prime Minister Benjamin Netanyahu met Oman's foreign minister. "Many are following this (Omani) lead, and may I say, including at this conference," a video released by Netanyahu's office showed him telling Yousuf bin Alawi bin Abdullah, whose Gulf state hosted the Israeli leader in October. Oman does not formally recognize Israel. Nor do Saudi Arabia and United Arab Emirates, which also sent envoys to Warsaw and which share Israel's concerns about Iran's nuclear program and involvement in several regional flashpoints. Speaking to Netanyahu, bin Alawi said: "People in the Middle East have suffered a lot because they have stuck to the past. Now we say, this is a new era, for the future." A photo-op with Netanyahu and senior figures from Arab countries in Warsaw would be a win for Washington as it seeks to ratchet up pressure against Tehran. The Iranians say it is U.S.-aligned forces in the region, and not they, who are belligerent. Leading European countries Germany and France opted not to send their foreign ministers over concerns the meeting could highlight big-power tensions over Washington's decision last year to withdraw from the 2015 Iran nuclear deal and reimpose sanctions against Tehran. Vice President Mike Pence is leading the U.S. delegation, accompanied by Secretary of State Mike Pompeo and White House advisor Jared Kushner. "We're trying to expand the number of nations who are engaged and have a stake in the future of a peaceful and prosperous Middle East," Brian Hook, the State Department's special representative for Iran, told Reuters. 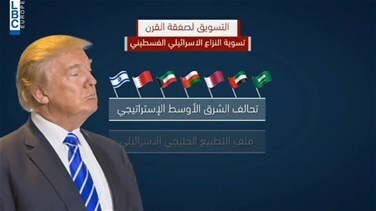 Arab nations and Israel faced a common threat of Iranian regional aggression and Washington was working closely with these nations to counter this, he said. "Iran isn't behaving like a normal country. They have a very expansionist foreign policy and that destabilizes other countries," said Hook when asked whether the absence of Germany and France's top diplomats at the meeting mattered. EU policy chief Federica Mogherini, a key player in the Iran nuclear deal, will also not attend the two-day conference due to scheduling issues, an EU official said, although Pompeo will travel to Brussels on Friday to meet with her. Kushner, who is President Donald Trump's son-in-law, will brief delegates behind closed doors on Thursday on U.S. plans for peace between Palestinians and Israelis. Palestinian officials, viewing the current U.S. administration as having a pro-Israel bias, declined to attend the conference. Hosting the meeting is a chance for Poland's conservative government to bolster ties with Washington at a time when it is increasingly isolated within the EU amid a dispute over its adherence to rule-of-law standards. "The European Union alone does not, in my opinion, carry sufficient political weight to try to really influence the situation in the Middle East," he told reporters. To watch the full report, please click on the video above.